The bombers destroyed five major arms depots, three command points and training camps of militants which were used for operations in Aleppo area. Russian bombers Tu-22M3 and Su-34 delivered a strike at militants in Syria from Hamadan airbase in Iran, the Russian defense ministry said on Aug. 17. "Long-range Tu-22M3 bombers and Su-34 attack bombers took off with full combat load from Hamadan airport in Iran and delivered air strikes at facilities of terrorist groupings Islamic State and Al-Nusra Front (banned in Russia) in the provinces of Aleppo, Deir-ez-Zor and Idlib," it said. "The strikes hit five depots with armaments, munitions, fuel and lubricants, training camps of militants in the areas of Serakab, Al-Bab, Aleppo and Deir-ez-Zor, three command posts in the areas of Jafra and Deir-ez-Zor, and destroyed a big number of militants," the ministry said. Air cover for the operation was provided by multi-purpose Su-30SM and Su-35S fighters from Hmeymim airbase in Syria. All aircraft successfully fulfilled the missions and safely returned to their bases, the ministry said. 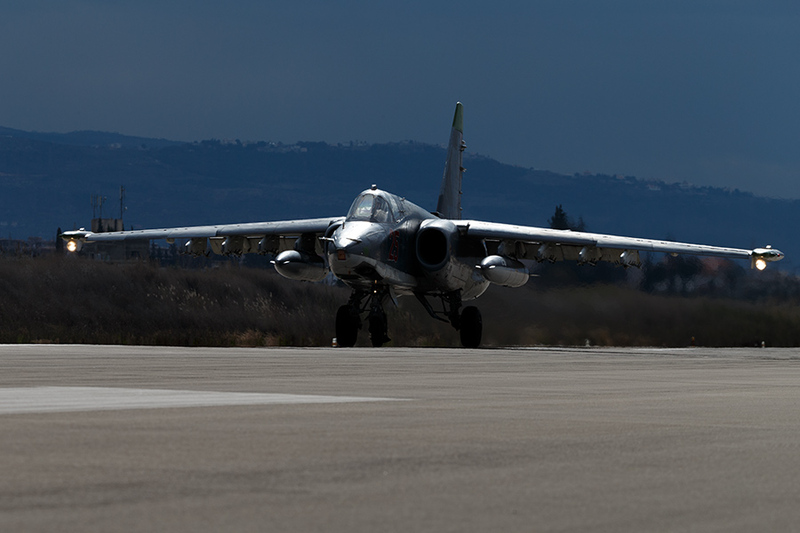 It was the first use of the Iranian airfield by Russian aircraft for operations in Syria. Earlier long-range Russian bombers took off from the Russian territory while attack bombers - from Hmeymim airbase in Syria.